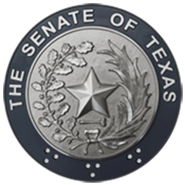 AUSTIN, TX - Today, Senator Paul Bettencourt, Chairman of the Senate Committee on Property Tax, filed Senate Bill 2 cited as the Property Tax Reform and Relief Act of 2019. The proposed legislation lowers the rollback rate from the current 8% to 2.5% for taxing entities that collect more than $15 million in tax revenue annually. This bill also makes changes to the appraisal process. "The filing of Senate Bill 2 means we are ready to roll up our sleeves and get to work. Property tax reform is a top priority for the Legislature this session. As a member of the Property Tax Committee, I have the opportunity to advocate for our working families burdened with paying a property tax bill that sometimes feels like a second mortgage. This bill is just a starting point, and I am committed to working with Chairman Bettencourt and the members of the committee to find a fair and equitable solution to our broken property tax system. This solution must include assurances that we will have sufficient revenue to properly fund public safety, education for our children, health care for our most vulnerable, and infrastructure for our continued growth and prosperity." Senator Juan "Chuy" Hinojosa proudly represents the counties of Nueces, Jim Wells, Brooks, and Hidalgo (part). Senator Hinojosa currently serves as Vice-Chairman of the Senate Committee on Finance, and serves on the Senate Committees on Property Tax; Natural Resources & Economic Development; Transportation; and Agriculture.